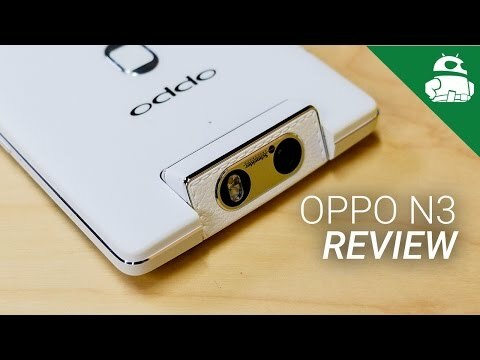 Chinese mobile device manufacturer Oppo has certainly made a name for itself over the past year or so, especially with the N3, Find 7 and R5 smartphones. The R5 particularly grabbed a fair deal of attention last year for its extremely-thin chassis and narrow bezels. We’re now getting a glimpse into the company’s future, as we go hands-on with Oppo’s newly-announced R7! To celebrate its ten-year anniversary, today Oppo announced two new handsets – the R7 and R7 Plus. We already gave you some hands-on coverage on the R7 Plus, and now it is time to take a look at smaller R7. Although the device isn’t as small as its predecessor, can the affordable price point offer up a good value to consumers? Let’s try to find out in our initial hands-on and first impressions of the Oppo R7! 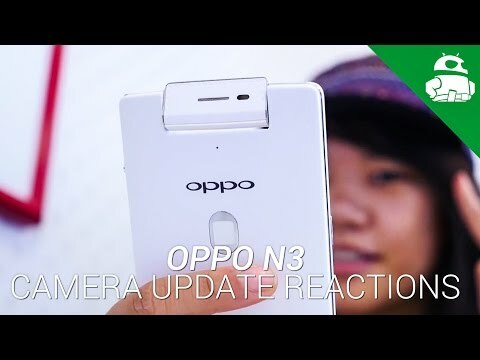 Oppo N3 Camera Update Reactions! If we didn’t tell you this was a budget device, odds are you wouldn’t make that assumption at first glance. The device features an all-metal frame that sticks out slightly from the front and back panels, which also feature a slight curve. A 2.5D glass panel can be found up front covering the 5.0-inch 1080p display. Subtle curves can be found on the front and back panels, which is referred to by Oppo as the ‘violin arc’, due to the simplicity and elegance normally found in well-crafted violins. The bezels are small, but still noticeable. However, thanks to the handset’s 5.0-inch display, you shouldn’t have a problem handling the phone at all. It does have a little bit of heft at 147g, but the device feels great in-hand, overall. While the handset measures slightly thicker than its predecessor at 6.3mm thick, that’s still very thin for a smartphone. The buttons can be found in their normal places – power key on the left and volume rocker on the right. Moving to the bottom, the R7 features capacitive buttons, unlike the R7 Plus, which features on-screen keys. Around back we see a 13MP camera module on the top-left and the Oppo logo placed slightly below that in the center. In our short time with the device so far, we’ve been really impressed with the R7’s AMOLED display. With a resolution of 1080p and a pixel density of 449, the 5.0-inch display will suffice for anyone looking for a solid smartphone display. Under the hood, the Oppo R7 features a 1.5GHz octa-core Qualcomm Snapdragon 615 processor, an Adreno 305 GPU and 3GB of RAM. The 615 has proven itself reliable in many other mid-range handsets, and that certainly feels like it will be the case for the R7. The device features a dual-SIM card slot for Nano SIMs, which also doubles as a microSD card slot that can hold up to 128GB of additional storage. It also has a non-removable 2320mAh battery, which certainly isn’t the best on the market, but at least users will get to take advantage of Oppo’s VOOC fast charging functionality. In our testing with the Find 7, N3 and other devices, VOOC has proven itself reliable, and will help supplement the smaller battery found in the R7. On the software front, things are improved, but at the same time a little confusing thus far. 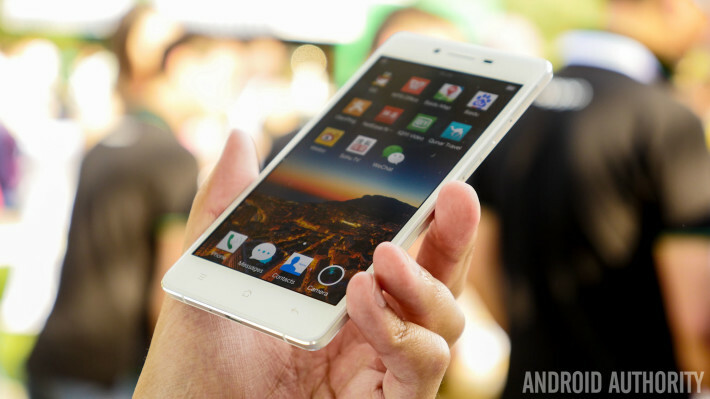 The R7 runs ColorOS version 2.1, which, according to Oppo, is smoother than ever. The UI is a bit lighter this time around, and the company claims the boot time has been brought down to only 18 seconds, from the previous 33. Navigating around the UI has been a breeze, and we’re really enjoying all of the animations Oppo has added into the software. Both the R7 and R7 Plus are running ColorOS 2.1, though the R7’s software is based off of Android 4.4 KitKat, while the R7 Plus’ is based off of Android 5.0 Lollipop. We’re sure there will be an update sometime soon, especially since Oppo just recently released a beta version of Lollipop-based ColorOS version 2.1.0i. When talking about the camera, we like what we see so far. It features a 13MP rear-facing camera with f2.2 aperture and an 8MP front-facing camera with f2.4 aperture, which has really impressed us after spending a short amount of time with the device. The camera app’s interface is pretty simplistic and easy to use. Camera modes like Ultra HD photo, HDR and more can be found on the R7, similar to what we see on most other Oppo devices. If you’re looking for something more out of the camera, you’ll even be able to download more features from Oppo’s Camera Shop. The R7 will be available for pre-order on JD.com and Oppostyle.com from today for 2499 RMB, which is roughly $400 US. It will become officially available on June 15th in both Silver and Gold color options. So there you have it, our first look at the Oppo R7! There aren’t too many surprises this time around, thanks to Oppo slowly unveiling the handset little by little over the past few weeks. Even so, the R7 is one heck of a device, and we can’t wait to further test it along with the larger R7 Plus. What are your thoughts?